It is not unusual for celebrities to associate their name with a number of different products, but there are times when they have a more knowledge in the field that they are promoting. That is certainly the case for the range of audio accessories from SMS Audio, and the SYNC By 50 Cent Wireless Speaker that promises 3D stereo sound. 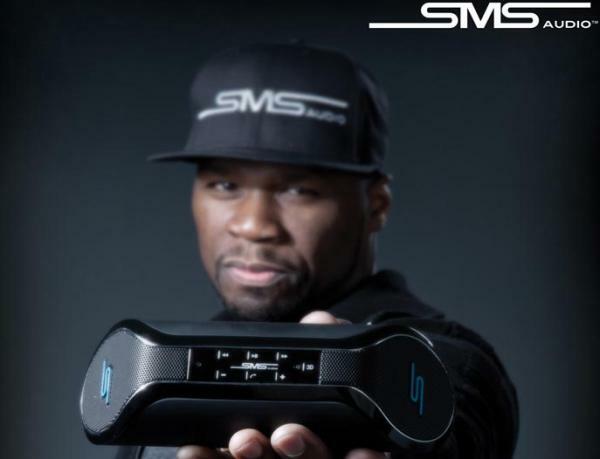 The company has a number of quality audio products from Curtis 50 Cent Jackson and the latest edition to the range is the SYNC by 50 Wireless Speaker that you can see on this page. Many smartphone owners will have lots of music stored onto their device and there will be times that they want to listen to this without wearing headphones, so a Bluetooth speaker is often used. This new speaker uses Bluetooth 4.0 aptX technology with Omni directional 3D stereo sound which is reproduced from the professionally tuned 50mm drivers. This provides a dynamic crystal clear sound with the accessory using soft touch sensor control buttons. Other features include NFC connectivity, easy pairing, 5 pre-set EQ sound settings to help provide a quality sound, and you can even use the device as a hands free calling solution. The SYNC 50 Wireless Speaker is suitable for the majority of smartphones and tablets, and there is also a 3.5mm jack for other devices. The speaker has a built in rechargeable battery, soft cleaning cloth, carry case, and a microUSB charging cable. Head over to the official website for more information with the SYNC by 50 costing $199.95 with shipping due to start tomorrow.